One of the world's capitals for horse breeding, this fun city offers racetracks, horsey theme parks and museums, and family horseback riding. Lexington is the place where more racehorses are bred, sold and catered to than just about anywhere else in the world. Families can visit all kinds of horse-themed attractions, including working thoroughbred horse farms, an historic racetrack and a three-ring circus of a theme park called the Kentucky Horse Park. Greater Lexington is home to 90 of the top 100 thoroughbred stallions and more than 400 horse farms are spread throughout the area. Just about anywhere you drive you’ll see miles of painted white fences and rolling green pastures with happy-looking horses. In spring, the foaling season begins, and mothers and their spindly-legged babies can regularly be seen munching on the famed Kentucky Bluegrass. Some say that horses grow better in Lexington because of its mild weather and nourishing bluegrass. Lexington soil is filled with limestone, and as the water percolates through the limestone, many nutritious items are filtered into the bluegrass, making the horses strong and healthy. 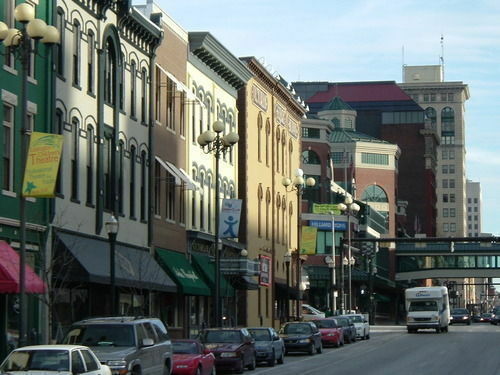 It’s the reason that the region’s famous bourbon is so tasty, too. As you might imagine, all kinds of horse-oriented businesses support the thoroughbred industry — horse dentists (horses should see the dentist twice a year, too), a horse ambulance service, a school for jockeys, colleges with equine degrees and equestrian teams, and even thoroughbred matchmaking services that help owners decide on the best romantic partners for their steeds. All of the activities are open year round unless otherwise stated. However, you can always check their websites or go to the Lexington Convention & Visitors’ Bureau website to verify if your desired activity is available for your expected travel dates. This museum traces the 50,000 years of equine history and has plenty of interactive displays, such as a button to push where you hear a mare and foal communicating. You’ll see jockey scales, a horse-drawn lawnmower, horse-drawn coaches, and a colorful peddler’s cart, among other things. After seeing all those horses, kids really want to saddle up a horse and ride, or at the least, see a horse up close and stroke its neck. Horseback and pony rides are available at the Kentucky Horse Park from March 15 through October 31. Kids 7 and up can take a guided 45-minute horseback trail ride, suitable for first time riders, that goes along the outskirts of the park. Younger children can take a pony ride around the pony paddock. Guests who don’t want to actually sit on a horse can take a ride of a different sort: horse-drawn trolleys pulled by giant draft horses and horse-pulled carriages offer rides throughout the day. 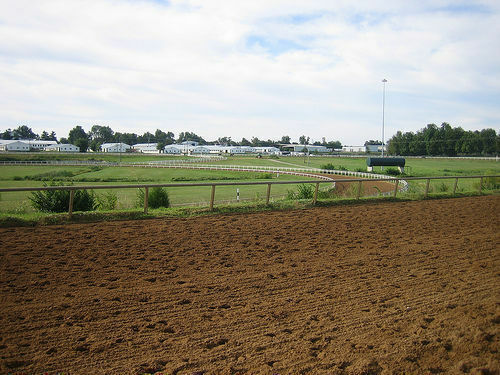 Keeneland Racetrack owns this thoroughbred training facility just outside of town that has over 1,000 stalls and two state-of-the art-training tracks. Daily tours (reservations suggested) allow visitors to experience a typical day in the life of a racehorse by being able to view them trackside, in their paddocks or in a historic barn. If you visit in the morning, you’ll get to see experienced exercise riders conditioning the horses on the training tracks. A number of private enterprises take visitors on tours of the horse farms (see the Lexington Convention & Visitors’ Bureau website), where the big business is breeding. Typical stud fees range from $30,000 to $60,000 (and a stallion can “perform” up to four times a day), but fees for top horses can be much higher. The Derby winner Smarty Jones’ stud fee is $100,000. Horse farm tours take you into the breeding sheds and explain the complicated and dangerous process of ensuring that the horses don’t get hurt and coupling is accomplished. Artificial insemination in the rarified world of thoroughbred breeding is not allowed. No matter when you visit, plan to have an early breakfast at the Keeneland Racetrack to see the jockeys and trainers fortify themselves before heading out to exercise their horses. Wander through the stables to see the racehorses getting their post-workout, warm water sudsy bath, and horses being let out to the track for some exercise. Then stand at the racetrack fence as magnificent high-spirited muscled thoroughbreds thunder past. 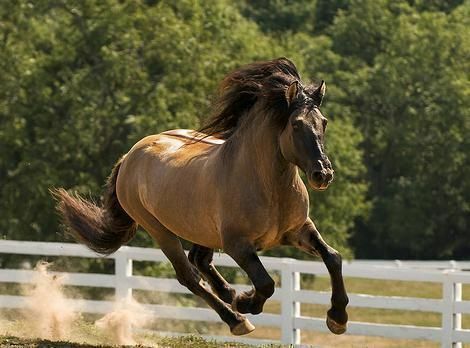 You’ll see all phases of the workout, from the warm up – a slow walk and brief trot to a rhythmic canter – then the full-on thundering hooves as horses flash past in a blur of speed and power.